Home Klawock Good Food and Natural Health Club Event in Klawock ANS Hall February 24, 2018! 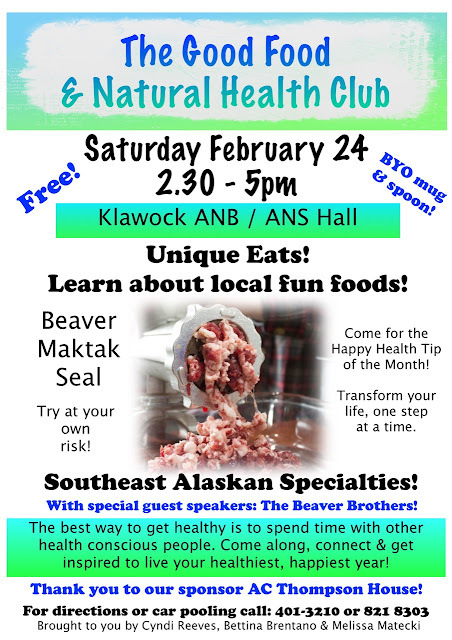 Good Food and Natural Health Club Event in Klawock ANS Hall February 24, 2018! Please share this with your friends, this will be a fantastic event!